Keyboardist, pianist, and percussionist with Guns N' Roses, beginning in 1990. He was entered into the Rock and Roll Hall of Fame in 2012. He helped found club band The Wild in the latter part of the 1980s, playing with them for five years. His keyboard and piano work, along with his backing vocals, were present on such legendary Guns N' Roses songs as November Rain, Knockin' on Heaven's Door, Civil War, and many others. He was born Darren Arthur Reed and was an introverted child. He was taught how to play the organ by his grandmother. He married his wife, Lisa, in 1990, with whom he fathered two daughters, Skye in 1992 and Shade in 1996. 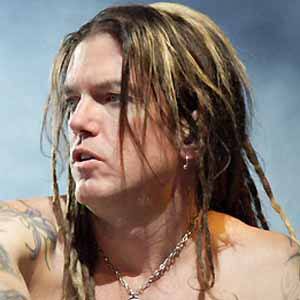 He and Axl Rose were the only remaining members of Guns N' Roses to have started with the band during its Use Your Illusion period.